A general understanding of flood risk tends to be limited, partly because of the complexity of the data and the technical language used to describe risk. The resulting confusion is especially problematic for home buyers, who might not realize how such information can affect the investment they are about to make. Syndeste, a hazard advisory and risk management tech firm, worked to address this issue and used Digital Coast data to improve their Beyond Floods application. The Beyond Floods app features a flood outlook score and detailed reports for each individual property. This score is an abstraction of more than 25 factors related to real estate, social perception, flood insurance, flood mitigation and losses, infrastructure, and geomorphology. Syndeste used data from NOAA’s digital elevation models and the New York City Panel on Climate Change sea level rise projections that NOAA published in its GeoPlatform for this effort. The Coastal Flood Loss Atlas (developed by the Federal Emergency Management Agency, derived from NOAA SLOSH models) and NOAA’s New York City 2050 flood risk scenario floodplains information were also used to further improve Beyond Floods’ flood outlook score and risk advisory capabilities. 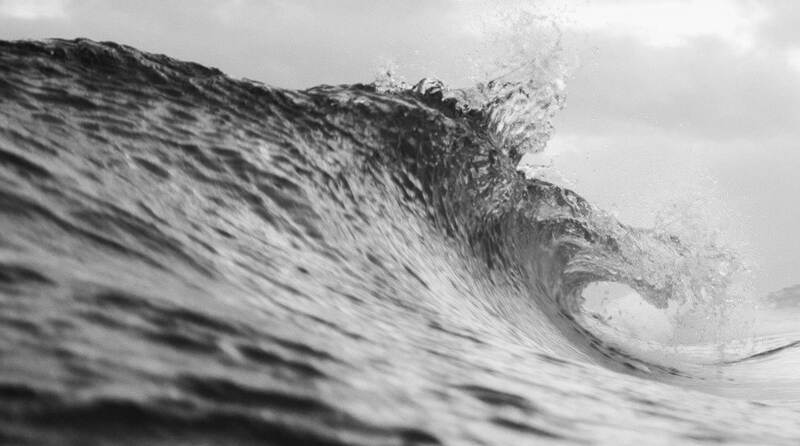 The wealth of accurate, standardized scientific data provided by NOAA allows Syndeste to focus on the post-processing and information simplification. The federal government’s digital elevation models, sea level rise projections, Coastal Flood Loss Atlas, and future floodplains inform climate change risk, which in turn affects the flood outlook score of individual properties. 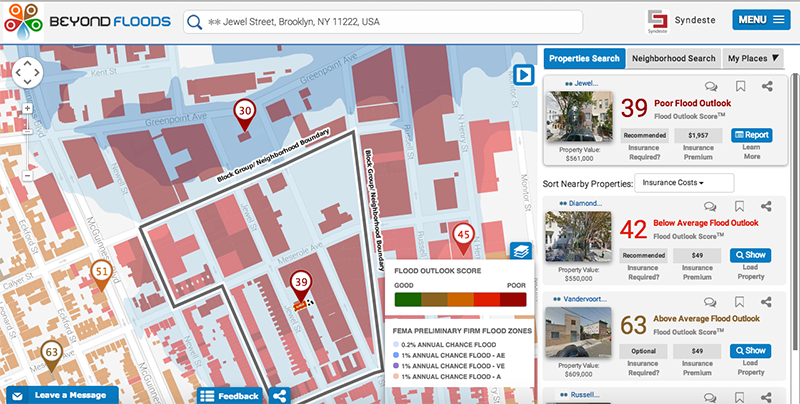 The resulting tool provides current and prospective property owners with an intuitive representation of their comprehensive flood risk, valuable for anyone buying or selling property, as well as those who want to better understand their risk.